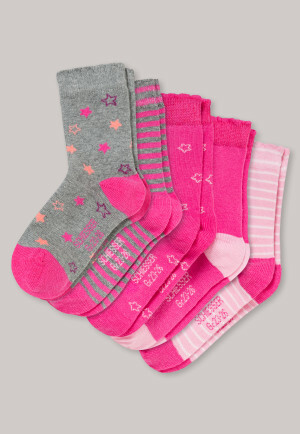 Socks for girls who want to enjoy wonderfully comfortable and perfectly fitting SCHIESSER quality, even in tight-fitting shoes. Dancing, running, romping – sometimes in thick winter boots, sometimes in light gym shoes, often accompanied by a lot of sandbox sand that trickles so nicely on the floor after taking off your shoes. 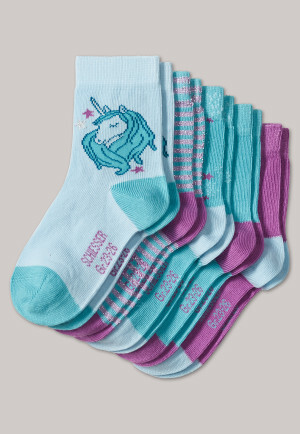 Children's socks have to do a lot! First of all, they should look great: our girls love pink, maybe a little sparkle, some polka dots, and a delightful ruffled cuff! Initially marveled at, they're quickly forgotten, and then the ankle socks' actual job starts: they have to fit perfectly on the foot, and they mustn't bunch up or roll down even in tight-fitting shoes. And this is where SCHIESSER comes in, because as an underwear expert for first-class craftsmanship and the finest materials, we really care about girls' feet! 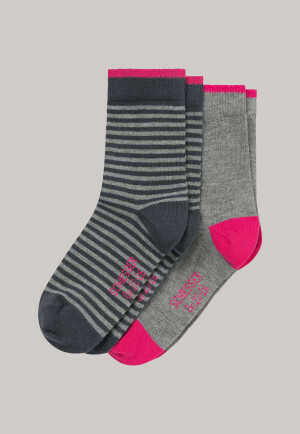 Good children's socks depend on the details: do toes and heels fit optimally? Does the cuff squeeze or roll down annoyingly? And are the pretty patterns and colors still as beautiful after washing as they were on the first day? 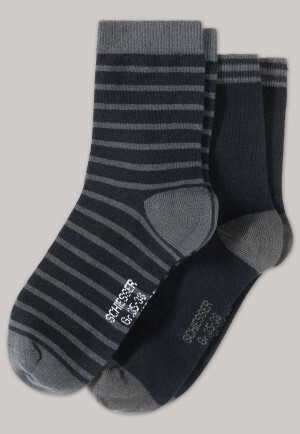 With a hand-linked seam in the toe and heel, a SCHIESSER sock promises a perfect fit at all times. And no matter if it's a pretty scalloped hem, or a plain opening, the cuff on all our children's socks will always stay where it belongs! 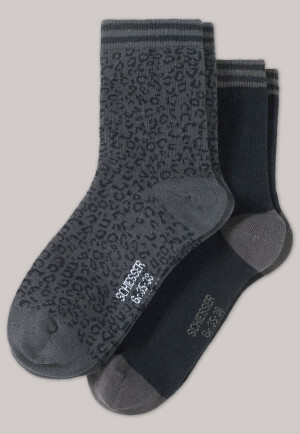 Even after many runs in the washing machine and dryer, ultimately your favorite socks want to get back to their pretty feet the very next day, even after the muddiest of activities! 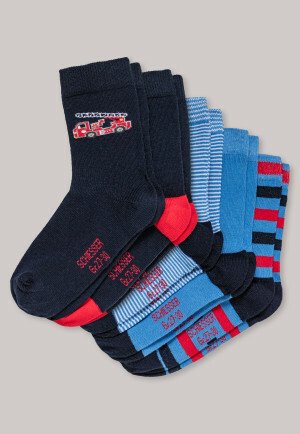 No matter whether it's warm slipper socks or fine cotton socks, happy children's feet simply feel right at home in SCHIESSER socks!